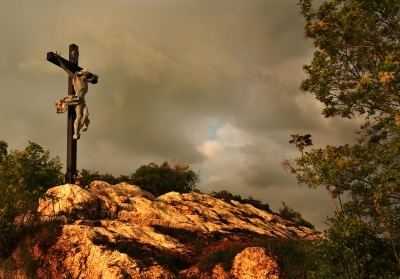 Today Christians observe Good Friday, also known as “Holy Friday, the day Jesus Christ our Lord and Savior was nailed to the cross. This inspirational video tells what this day represents and what the people did not know what was to come on Easter Sunday. Today is also the first day of Passover for Jewish families. On the first two nights of Passover a dinner called a Seder is celebrated with the finest table decor, silverware and dish settings. For this meal the story of the Exodus from Egypt is told and is a tradition. Happy Passover to my Jewish friends. 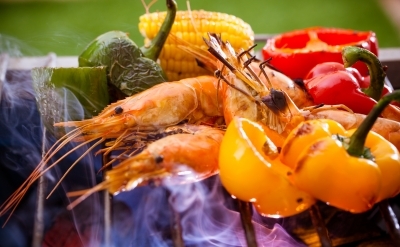 One of my favorites ways to prepare Shrimp is to put them on skewers and throw them on the grill. This Shrimp recipe for skewers (kabobs) can be used as an appetizer or repeat the process on a longer skewer as a main meal over rice or pasta. The Teriyaki sauce give the vegetables a sweet and salty flavor that goes well with the garlic, lemon and ginger on the shrimp kabob. Leaving the pineapple plain, adds a delicious sweet flavor when grilled, that makes the other flavors blend so well. 1 Fresh Pineapple cut into 1″ pieces – does not go into marinade.